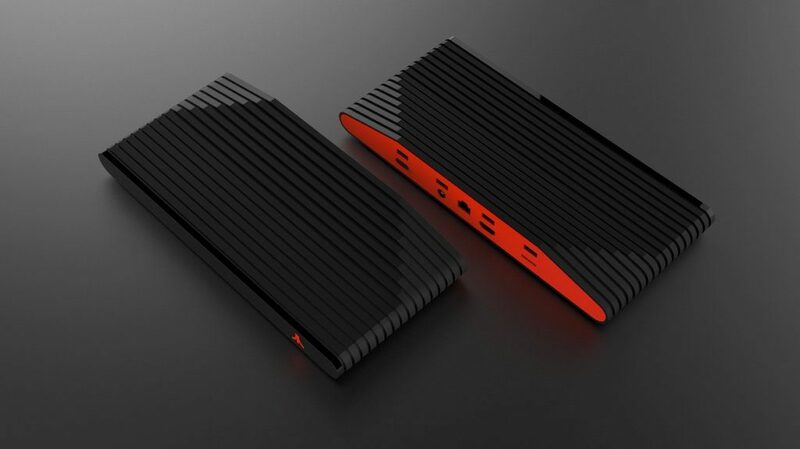 Home Feature The Ataribox: Just Another Atari Blunder or a Retro-Smart Move? The Ataribox: Just Another Atari Blunder or a Retro-Smart Move? 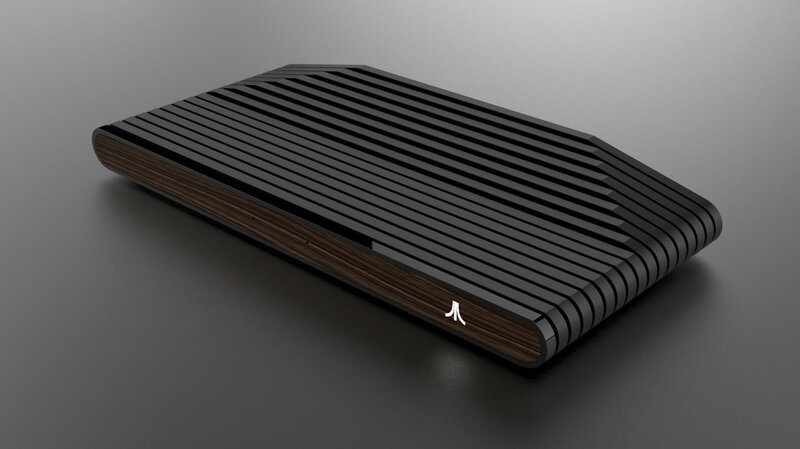 Atari has released new images for its upcoming Ataribox console and it looks like this could either return the company to top grace or once again melt its wings. No intended release date or price has been announced as of yet. Not much information has been released about the Ataribox, but a few pictures hint at how the system will function. It connects to a display device via an HDMI cable, so there is no need to stock up on an old composite video converter. Also on the back are four USB ports and an SD card slot, the latter of which may be used for game storage. The USB ports could possibly be for controllers. The top and sides of the system feature black, ribbed lines, similar to the old Atari 2600 (1977). 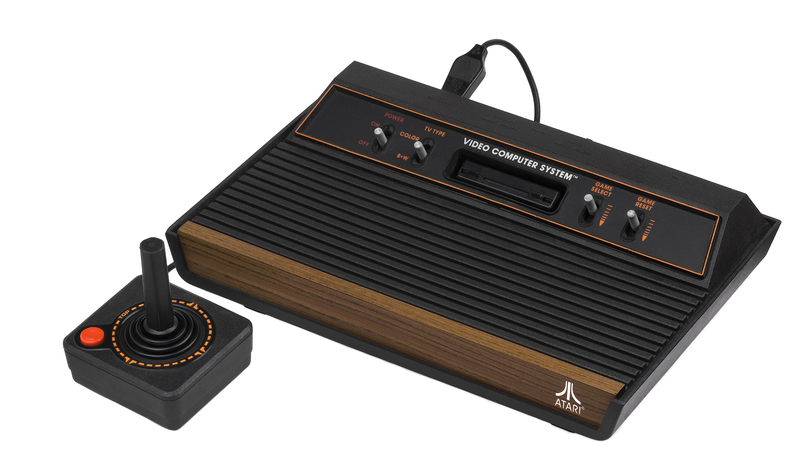 One version of the console also features a front wood panel in spirit of the original console, whereas another version will have a red panel, which also embodies the classic red and black Atari aesthetic. Unlike the Atari 2600, this system does not have sharp lines or a large cartridge port, giving it a mix between the old 70s look and a polished, contemporary feel. The old Atari 2600 featured a controller sporting a large, hand-sized joystick and a single red button. Images of the Ataribox controller have not been released, but it will most likely be quite different from the 2600’s setup to account for the diversity of control options expected in contemporary gaming. This is one industry you cannot blame “millennials” for “killing.” Retro gaming has been on the upswing in the videogame industry and fans cannot seem to get enough. This might be a good time for the Ataribox to step into the fold. The perfect example of this — as I quite frequently write about — is the NES Classic Edition. Last year, Nintendo released a console that looked very much like their debut console and held 30 pre-loaded games onboard. The system sold out before launch and continued to be sold out at most retailers up until Nintendo pulled the system from stores a few months ago. This was so popular it was selling on eBay for two to three times its shelf price. Nintendo is also gearing up to release a similar emulator system of the Super Nintendo Entertainment System. Third-party companies are stepping in to also launch products that allow you to play old game cartridges, like the RetroN HD. Even companies that do not have a two decade history are stepping into the nostalgia market. One of the hottest hitting news items that came from E3 this year was that the Xbox One was going to be able to play the entire history of all Xbox games — regardless of console. Sony is also following suit, with more and more PS2 games and the like being re-released through the PlayStation Store. Beyond games, Netflix series like Stranger Things were instantly popular because its appeal to both 80s aesthetic in film and its well-represented setting within that era. Retro is now contemporary and hip. And this appeals to both people who missed an era and those who grew up within it. Banking on Retro is a smart move for Atari, but the company also lacks the name recognition of Nintendo, as it’s been out of the race for more than two decades. The Ataribox hails back to an old system, but unlike the successful piece of hardware Nintendo produced last year, it is not a strict replica/emulator of that system. Will Atari focus too much on the new and forgo a focus on the nostalgia capital? An initial draw to the NES Classic Edition was also the fact that it was listed in stores as being around CDN $80. Will Atari follow suit and make its new foray affordable (and hopefully, unlike Nintendo, accessible to consumers)? Atari used to be a powerhouse in the console game market. But before that, they were responsible for kickstarting part of the arcade scene during the 1970s. For example, Atari started pumping out arcade machines of Pong in 1972. Their first home console, the Atari Video Computer System (now the Atari 2600), hit shelves on September 11, 1977. This system was fairly popular. Atari even had a prototype for a version of the system with wireless controllers, but it never saw fruition. In 1982 the Atari 5200 was released, which was a slight step up from the previous system. However, it was discontinued two years after due to events that shook the market. Atari was swept up in the video game crash of 1983. Simply put, Atari did not retain enough publishing control over its product. There were too many games and no where near enough counter space at stores to house them, let along for consumers to decide between. Atari also published too many copies of unsuccessful games. For example, the video game adaptation of E.T. The Extra-Terrestrial was released in 1982 and is probably known as one of the first and worst failures of creating a broken game based on a movie. Atari ended up filling a New Mexico landfill with between 10 and 20 truckloads of the game. This is one of the few games my father had for the system when I was a kid and I could not understand how to get past the first screen. The emergence of home computers being used for gaming also started to largely impact console gaming. Nintendo survived the crash because it limited what games were published for its system and also relied on its history as a toy company to sell the system along with toys, as well as market it as one instead of a game console. Atari was sold after the crash and stepped back into the game a couple years after. In 1986, Atari released the Atari 7800 which had improved graphics over the Atari 2600, but was also backwards compatible. In 1989, Atari tried breaking into the handheld scene with the Atari Lynx. Unfortunately, it did not release enough software to pick up steam, nor was it widely available across America. That same year Nintendo’s Game Boy was also released, which — due to it being cheaper as well as having several famous and still running titles such as Pokemon — blew Atari’s small machine out of the market. In 1993, Atari made another bad decision with the Atari Jaguar. The controller featured a D-pad, a few buttons and an entire dial pad that encompassed the majority of the controller. Obviously this controller and its appeal to “edu-gaming” — its advertising involved explaining how their system having more bits made it better than its competitors — did not take hold in the market. To top things off, Sony released its PlayStation and Sega released the Saturn two years later, which beat the system out in popularity. The Jaguar was discontinued in 1996, one year after the Lynx. Atari also ventured into making computers, such as the 8-bit Atari ST, but memory of those hardly exists to this day. It is hard to say how well the Ataribox will do. So far, the hype for the machine seems to be so small that it does not even have a Wikipedia page yet. From an aesthetic point, it looks both sleek and retro. Unfortunately, with no game line-up announced and no price point, it’s hard to say whether Atari will hit the perfect point between nostalgic gaming and affordability, or will blunder and fall from people’s memories once again. Then again, with how great it looks, if Atari’s wax melts once again, at least it leaves collectors with a final piece, possibly worthy of collecting dust on a TV stand. Jay Rankin likes pizza and poetry. Sometimes together.